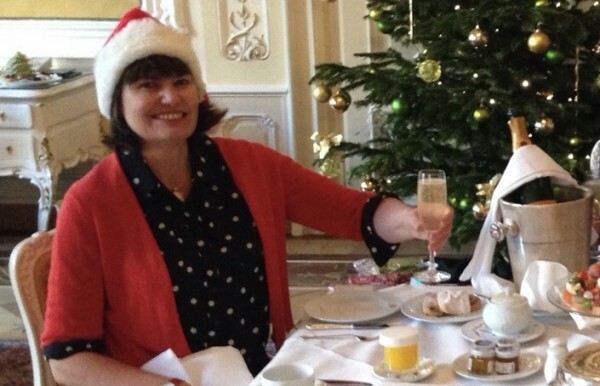 Clare enjoying one of her last glasses of champagne before axing the alcohol for APP in January! Trustee Clare Dolman is leading a post-Christmas drive to raise money in the New Year by cutting out alcohol and donating the cash saved or sponsorship raised to APP. Clare says, "APP is a desperately-needed charity which helps so many women and families in their darkest hour. That’s why we want ALL trustees, staff and volunteers to join us in giving up the booze for a whole month to raise much-needed funds. . I love my wine so it will be a particular challenge for me but totally worth it if it helps APP to help more families!" So, whether January is an annual dry month for you or its the first time you've considered staying off alcohol for a whole month, please do it for APP. In the spirit of peer support, we can get through 31 days dry together! You can make a donation online here to keep sober for the whole 31 days or download a sponsor form here. We will also accept donated ‘fines' from those unwilling to accept the challenge! Donate to Axe the Alcohol for APP here. Find out about other ways to support us here.